… Yeah. This is a real game. All I could think of while I was watching this video was “I wonder exactly what they were thinking when they were developing this game.” and this was probably the only good explanation I could come up with. Either way, space bacon aside, it does look like an awesome game! I am sure I am gonna pick it up at some point. 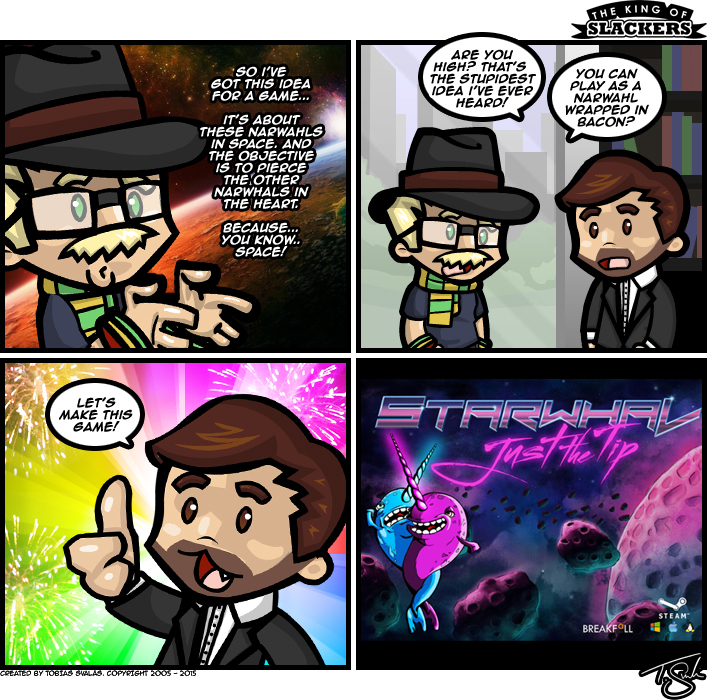 I mean, who can say no to space narwhals wrapped in bacon? P.s. I am aware of the spelling errors 😉 No worries though. I’ll fix those tomorrow.